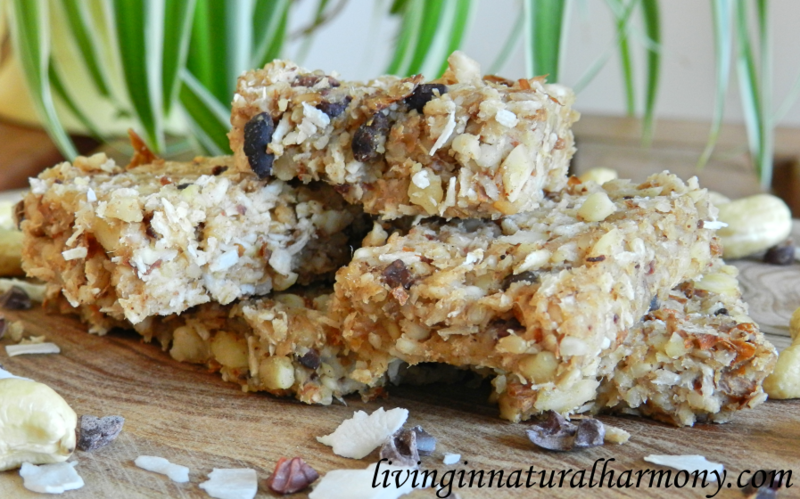 Energy bars are not only very popular among athletes but are also enjoyed by anyone who just wants to eat something fast and that can make them feel full for a while. The problem is that the majority of energy bars that we see in the shops are loaded with refined sugars, unhealthy oils, artificial sweeteners and colors. But there really is no need to eat such stuff. 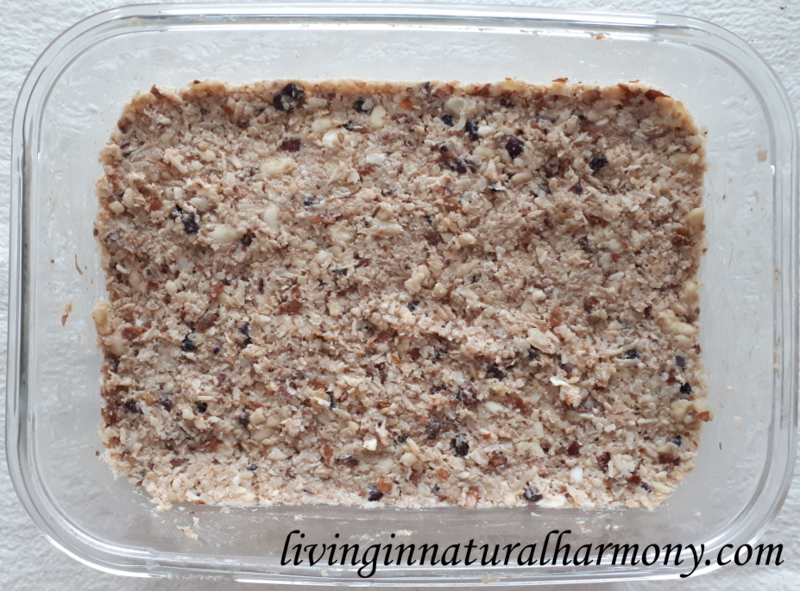 This week, I would like to give you a suggestion for an energy bar recipe, which is healthy and quite easy to make. 1.Soak the almonds for about 8 hours, the cashews for about 4 hours, and the dates, sesame and oat for about 1 hour. 2.Throw the water away and rinse everything. 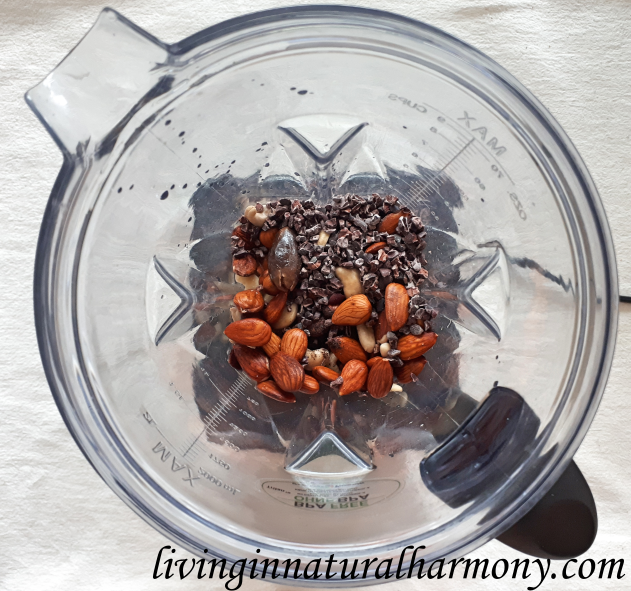 3.Add the almonds, cashews, dates, cacao nibs, vanilla and salt to your food processor. 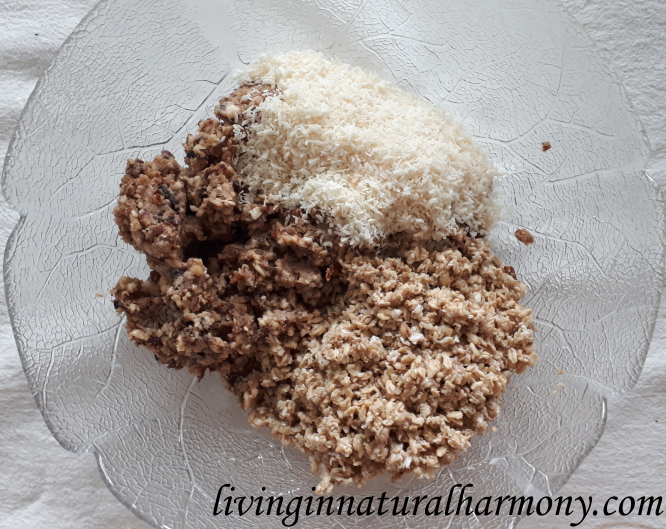 4.Blend until the mixture has reached your desired consistency (it doesn’t have to be super smooth, I personally like to feel some nut pieces). 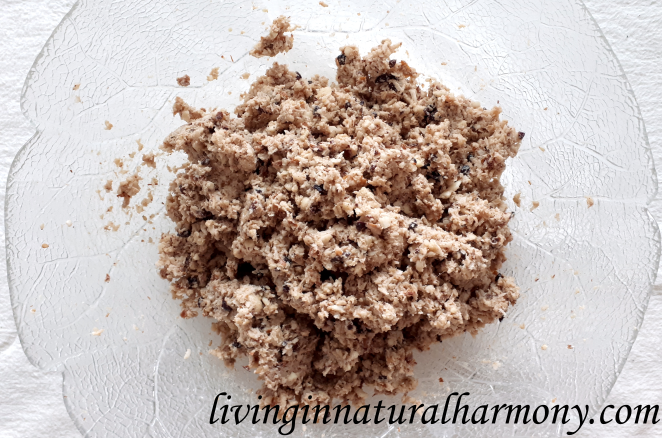 5.Transfer the mixture to a bowl and add the coconut, oat flakes and sesame. 6.Mix everything well (I used my hands therefore). 7.Transfer the mixture to a squared, and if possible, glass container. Spread the mixture well to cover all corners of the container and make a flat surface. 9.Store it in the fridge for about 1 hour. 10.Separate the bars. If you’ve made them too thick, can cut them in half. 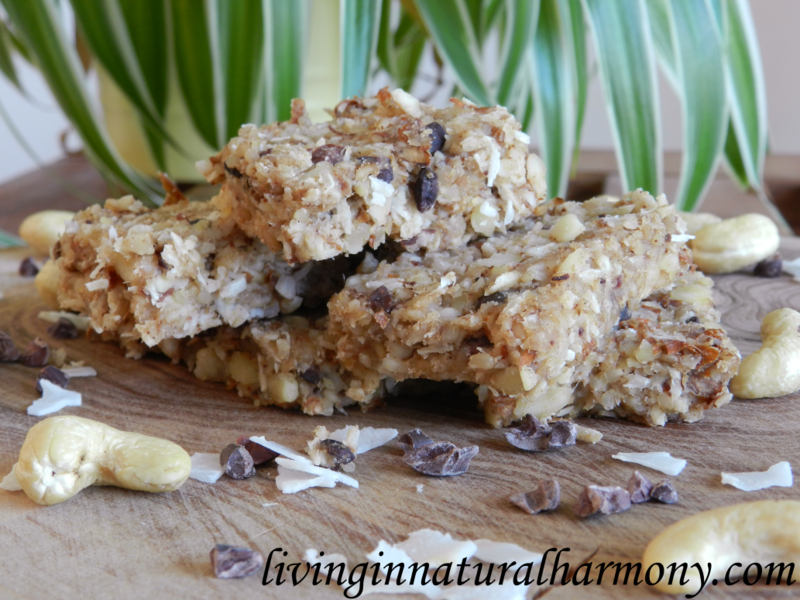 And have you ever made a “healthy energy bar”? Which ingredients did you use? Subscribe to our Blog You will receive 1 free weekly newsletter with our new articles + 1 free e-cookbok with 10 plant-based dip and spread recipes!